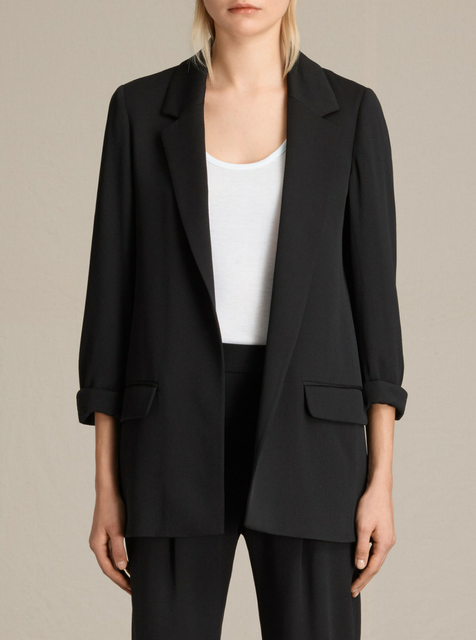 Oversized, borrowed from your boyfriend, relaxed silhouette, slouchy - call it what you will, this style of blazer is classy, chic and looks great and is everywhere this season. This 80's inspired look has made its way back, bringing some more masculinity into women's style. The slouchy blazer can be dressed up or down and used to create professional, dressy or casual looks. To keep the look from going too masculine, if that's not your personal style, make sure to team it with skinny or slim fit trousers, a heel and add make-up, and accessories when wearing an oversized blazer as this will play a big part in pulling the look together. Here are 3 of the best-oversized blazers currently available in the high street stores.